The way you want it! Where you want it! When you want it! Mixing takes place on site and so allows us to adjust the amount mixed, thus eliminating hortage or waste. As the reach from the mixer exceeds 7.5 meters it saves time, money and backache! 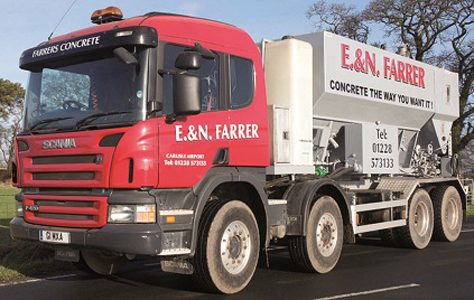 With a low minimum order… a single cubic meter, ask for a quote for your next job and see how cost effective it is to have ready mixed concrete delivered to your door. As a handy reminder click here and print this flyer.